On the road again. This time, in a new toy. 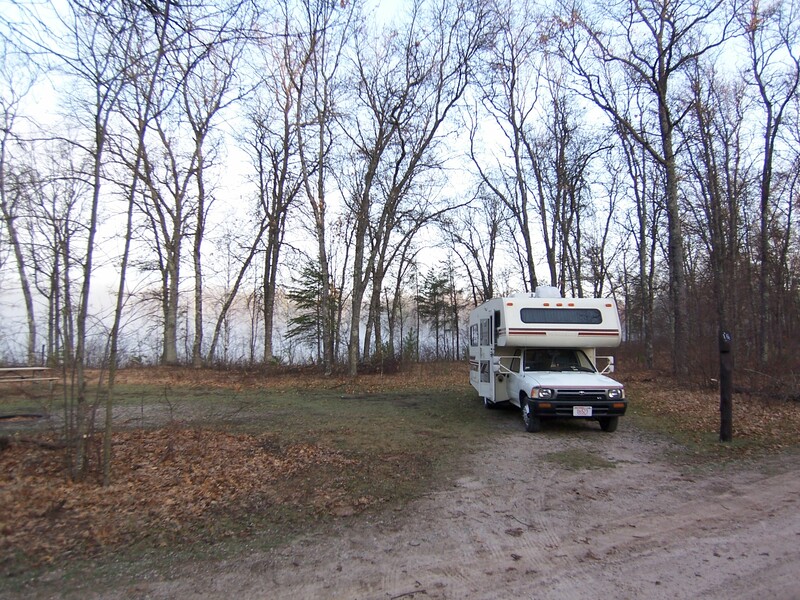 A 1993 21′ Winnebago Warrior, aka a “minnie winnie”. We just got back from a loop around Lake Michigan, where the RV was given the opportunity to display its comforts and road manners. It did very well in both departments. Mayo very much enjoyed having several lounging spots while underway, and I enjoyed the luxuries of a real bed and microwave oven in undeveloped campsites. 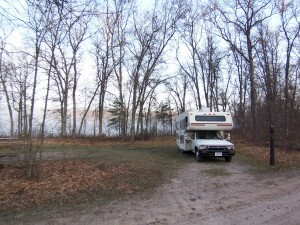 The photo is of the RV parked at the Old Veterans Lake State Park in northeast Wisconsin, near Crivitz. We had the park completely to ourselves–a definite benefit of camping early in the season (the flipside of which is that most of the campgrounds are closed and chained off). Speaking of Mayo, here she is, in all of her moochily goodness. Pretty cute doggie, hmm? She seems to think so. 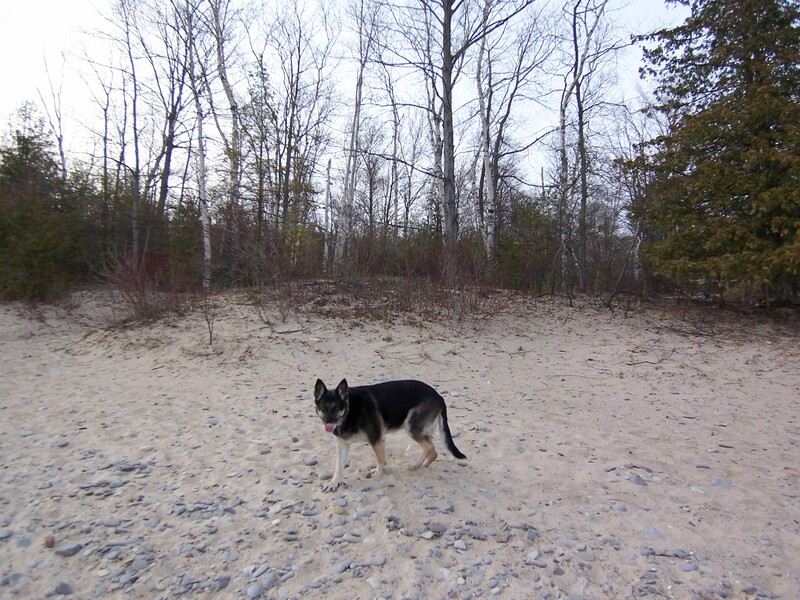 This photo is from the Fishermans Island State Park near Charlevoix, MI. We had this place to ourselves as well, except for a few remarkably well-fed raccoons and some bored local teens. Now we’re just waiting for a replacement fridge for the RV (one that can run without either the RV being level or the generator running). Once it arrives, we’re off to Alaska. Besides, the whole point of this is not to stay in the rig and interact with various electronica. So, no sat TV/net, no slingbox, no tivo, no cellmodem. Gah, I’m going through withdrawl just thinking about it. I’ll still have the lappie and Juno dialup, and web surfing on the cell phone. OK, I can breathe again. Mmm… Shiny RV… How does the toyota handle the load of the RV? Does is drive well, or is it a pig. I’ve always assumed RV’s are pigs, but have never actually driven one. Enjoy the trip to AK.